As the spring weather begins to draw people outside more and more, the question of accessible garden design emerges. There are plenty of specifications and technical guides available for garden design for people with mobility impairments; providing information on the material and width of pathways etc. 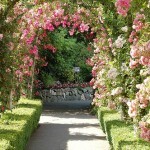 However, there is a lack of advice on how to make an accessible garden more enjoyable. 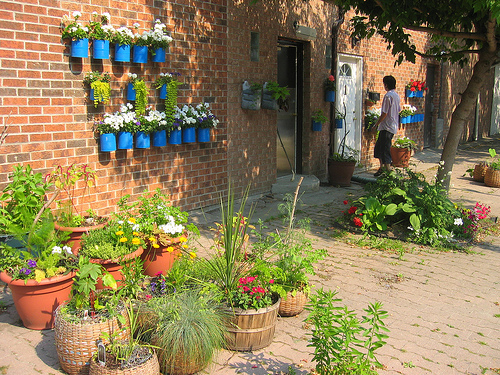 Below are a number of the basic tenets for accessible gardens, as well as ideas of how to make these accessible features less sterile. In order to allow as many people as possible to enjoy your hard work, you must ensure that they can access all areas of the garden. Level access to the garden from the house is vital. While everyone enjoys a patch of grass, unfortunately even hard packed lawns are out of bounds to wheelchair users after a shower of rain. To this end, pathways are extremely important; they should be level, wide and traversable even after a rainfall. 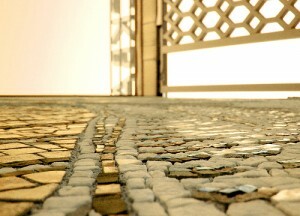 Materials should be suitable for wheelchair use, avoiding gravel, wood chippings, cobblestones etc. This usually entails a wide, level, well-drained concrete or bricked path. As a grey expanse of concrete is not always the most attractive feature of a garden, this could be enhanced with an arbour or pergola with climbing plants overhead. For vision impaired garden users, a raised boundary of a different colour on one side of the path can be helpful for wayfinding. Another tip, alongside the usual raised boundary above, is to line your paths with chamomile plants (Anthemis Nobilis) which release a sweet smell when crushed underfoot or struck with a cane, giving more pleasant clues as to the boundaries of the pathways. If the garden is to be maintained by someone in a wheelchair, then raised flowerbeds should be installed along pathways, with the width of each bed within the comfortable reach of the gardener. Width can also take into account whether the user will be using long or short-handled tools when tending the beds. Plants in pots and other containers should also be raised from the ground, as it may not be possible to bend down to tend them. A great way to ensure that plants are at a comfortable working height is to create a wall garden. Plants can be hung at the most convenient height by screwing containers directly onto the wall. This has the dual advantage of making the most of limited space in a small garden and of brightening up bare walls. Ensure that any rest areas include both shaded and sunny areas for warmer weather as some people are more sensitive to the sun than others. Plenty of room is required for comfortable wheelchair turning circles. Although bricked areas can be expensive, they can be an excellent surface for mobility impaired garden users – provided that they are correctly installed. Bricks can allow you to make a feature of the space required for a turning circle. 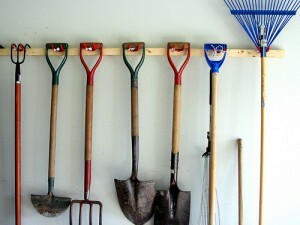 Tools and other garden equipment should be stored in an organized manner within easy reach of the intended user and in a wide shed or garage with level access from the garden. This advice is ideal but rarely possible in most standard garden sheds. If you do not have a garage or the funds to build a garden shed to spec then perhaps a durable storage box would be a viable alternative. Some of these models could double up as a garden bench when not in use. Although there is little “dry advice” on what exactly to put in your accessible garden, it should go without saying that poisonous or hazardous plants, although sometimes beautiful, should be avoided. Cacti – some care required! Any comments or other suggestions on how to de-sterilise an accessible garden are welcome! The chamomile idea is genius. I love it! Thanks so much for this article – I’ll be using every bit of advice provided! Thank you sooo much.